Locking waterproof cap. Easy Lock System. Soft touch cap stays open in the upright position. Solid cast 316 stainless steel. 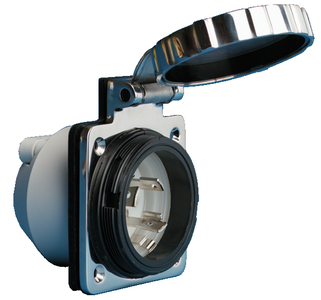 4-way right angle safety enclosure.